An eleven-year-old boy is murdered on a picturesque beach in a small English coastal town. 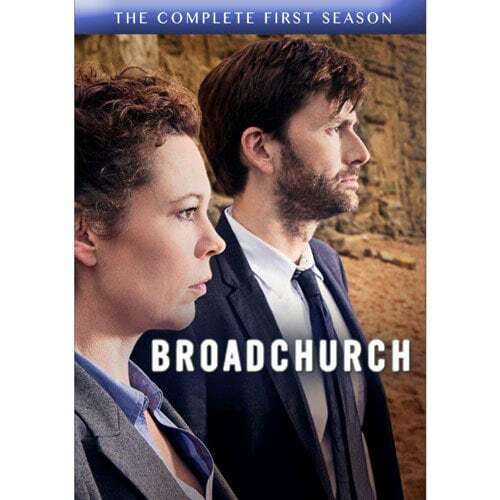 Two detectives--strong, compassionate local DS Ellie Miller (Olivia Colman, The Iron Lady) and by-the-book outsider DI Alex Hardy (David Tenant, Doctor Who)--must work together to solve it. Under the glare of the media spotlight, they race to find the killer while the mystery deepens. A huge hit in the UK, seen on BBC America. 8 episodes, 6 1/2 hrs, 3 DVDs, SDH.